There are many stereotypes about pit bulls in today's society, but how many of them are actually true? Are they really the "vicious" dogs people make them out to be? 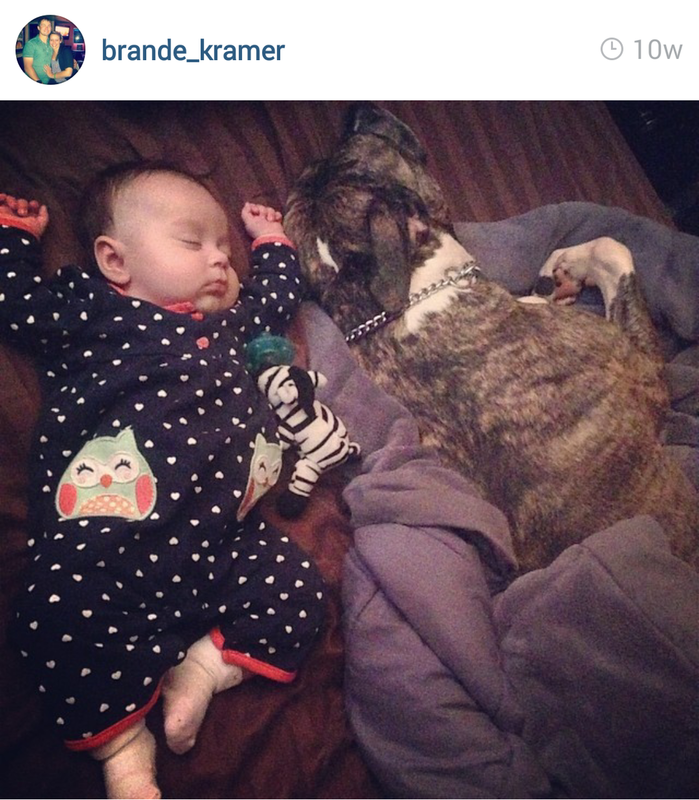 The media seems to only focus on "attacks" committed by dogs perceived to be Pit Bulls. It's really a terrible stereotype that hurts pit bulls. According to the ASPCA 1.2 million dog in shelters are euthanized each year. Different studies show that 800,000 to 1 million of these are pit bulls. A Pit Bull isn't a breed, but a classification of 25+ breeds/mixes based on similar physical characteristics. Why are there so many odds against pit bulls? To start off, hundreds of jurisdictions across the country ban or otherwise restrict ownership of these dogs - which leads to people not being able to adopt these dogs from shelters or rescues if they live in a certain jurisdiction.This also results in pit bulls being taken away from their families if they live in a jurisdiction that doesn't allow pit bulls.When someone is moving, housing and apartment complexes make it very difficult to have a pit bull there. So these dogs are basically getting judged by their appearance and not facts. I can personally say that owning my own pet sitting company and being a professional pet sitter and dog walker that pit bulls are some of the most sweetest,gentle and most accepting dogs I have ever watched. Nicole A:Being in Pit Bull rescue I see many misconceptions, but the most prevalent is that Bully breeds are inherently dangerous. This is far from the truth. 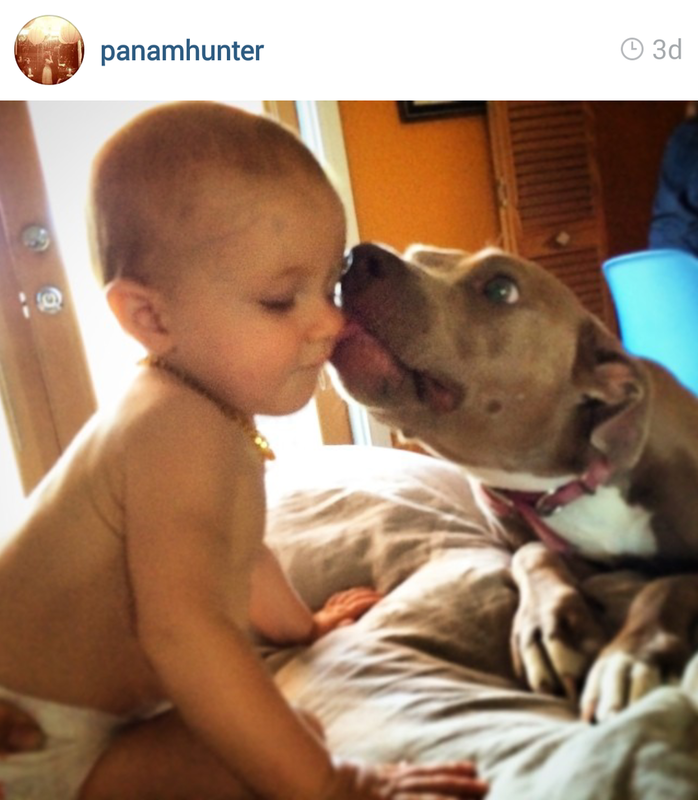 Typically Pit Bulls are sweet, loving, and gentle. They are intelligent, athletic, resilient, and forgiving. Pit Bull type dogs have been taken out of the most horrendous of situations and go on to be family, therapy, service, agility, and even K9 unit working dogs. 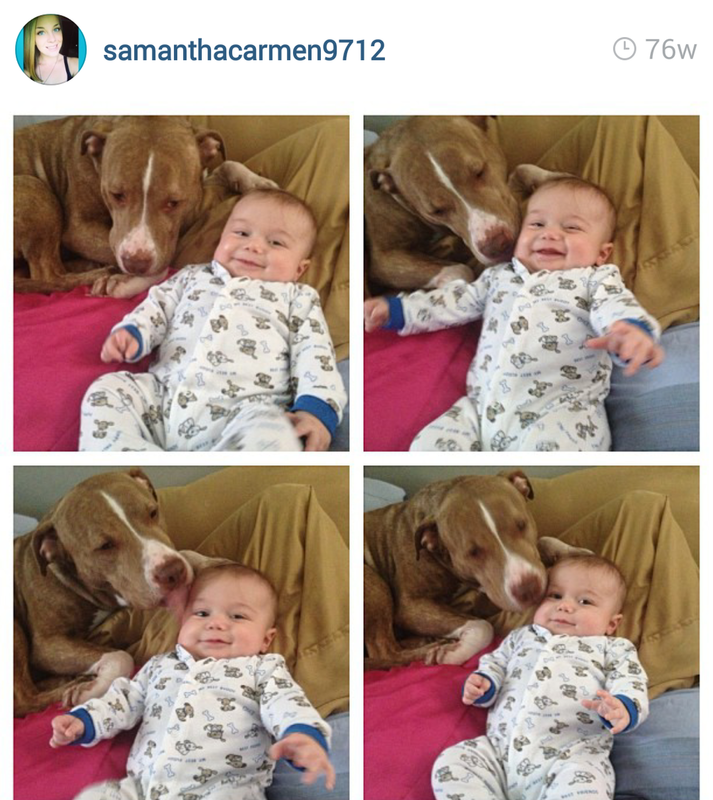 Nicole A: The high number of Pit Bulls euthanized every year is not the fault of the shelters. The problem begins in the community. Backyard breeders who have zero concern for the already existing of Pit Bull type dogs in shelters, proper breeding standards, and people who only view their dogs as a source of income are a large part of the shelter overcrowding issue. Also, many county shelters are underfunded thanks to the government officials who decide funds are best designated elsewhere. Being underfunded and understaffed makes it more difficult to enforce spay/neuter regulations and breeder permit purchases. In addition, breed specific rules when renting or purchasing a home make it very difficult for those who genuinely love their Pit Bulls to move and be able to take their dogs with them. All too often families are forced to surrender their dogs to a shelter feeling like there are no other options available. In order to reduce shelter overcrowding therefore reducing the number of Pit Bulls put to sleep community members need education and resources to become responsible owners. 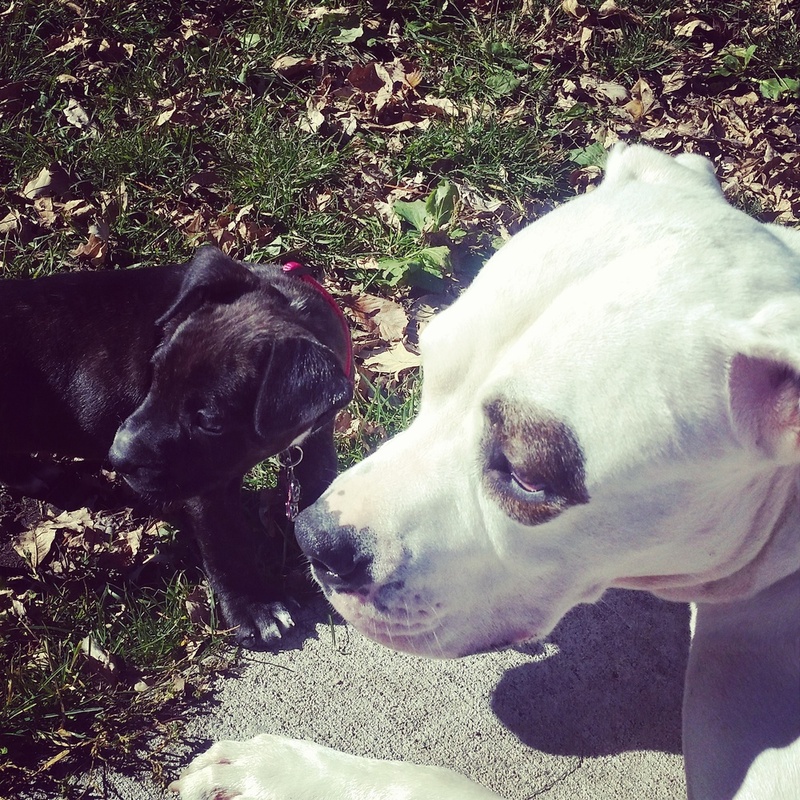 The backyard breeding cycle needs to end and the "dangerous breed" list needs to be eliminated.In order to reduce shelter overcrowding, therefore reducing the number of Pit Bulls put to sleep, community members need education and resources to become responsible owners. 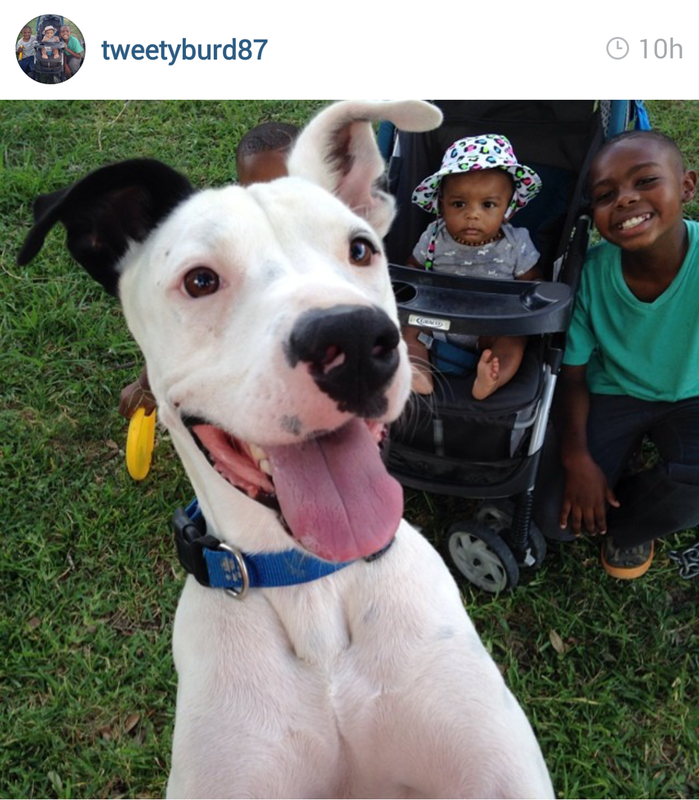 Social media has become a great resource for getting dogs adopted. It provides rescues the opportunity to showcase their adoptables and tell each dog’s story to a large number of people. Social media can be particularly effective when taking in and providing medical care to a dog in need. The dog’s process can be followed from start to ready for a forever home and often times a follower will fall in love and want to adopt. I used to be very involved in helping dogs get rescued from a high kill shelter in Miami FL. I didn't include that in my website though. I think that had a big part in leading me to have a business where I work with dogs because dogs are my passion in life. I am the owner of Wagtastic Pet Care LLC, I'm a professional pet sitter and dog walker and a mother to pets of my own. I am very serious about the welfare of your pets. Caring for your pet as my own is my priority. My love and passion of animals has guided me to dedicating my life to the care of animals as a professional pet sitter. I deliver all sort of pet sitting and dog walking services in Boca Raton FL and surrounding areas. There has been a major movement as of late on social media accounts that has swept the nation. The dog community is showing its love in a major way with an influx of dog lovers creating accounts showing off pictures and statuses of their beloved pooches. This has been something that the Pit Bull community has drastically needed without even knowing the impact it would have. For years, the Pit Bull has been touted as the most dangerous and aggressive of all dog breeds and hopes of eradicating these so called beasts have been on the high. Any and all dogs that resemble the 3, that is American Pit Bull Terriers, American Staffordshire Terriers, and Staffordshire Bull Terriers, are stereotyped and boxed into one category that is under attack by Breed Specific Legislation. The problem with the negative classification is that such a massive number of dogs and families are targeted. Not only are the above mentioned 3 affected but so are Boxers, Dogo Argentinos, Presa Canarios, Mastiffs, Cane Corsos, and American Bulldogs to name a few. What happens in areas where these harsh legislation are in effect is nothing more than atrocious. Thousands upon thousands of dogs are being taken from their homes and killed at the hands of government policy. The people who are supposed to love these dogs forever are being forced to let go of them because they appear to have the characteristics of an aggressive dog. Now what exactly does an aggressive dog look like? How can you discern one from another based only upon appearance? If we used this approach when dealing with humans, by basing their right to live in certain areas and not others due strictly upon their appearance or race, now would that not be morally inhumane? BSL affects our rights to own a certain type of dog because of the assumption that he, along with all others that fit a broad description. This of course is completely untrue to the thousands upon thousands of families who own sweet Pit Bulls or the alike. "What makes your Pit Bull a Lover?" The positive message that these, along with the vast amount of other Pit Bulls owners gives off by sharing pictures and stories of their dogs is truly a wonderful thing in the fight against BSL. 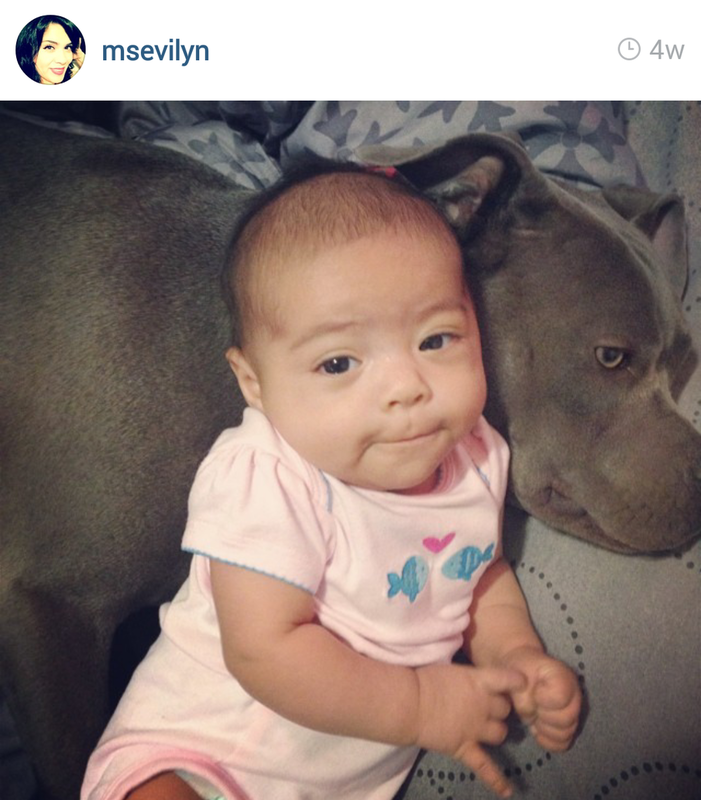 Showing the true nature of Pit Bulls is exactly what the movement needs. Pictures of beautiful, smiling, happy dogs interacting with their humans, proving that a dog can bring pure joy and companionship no matter the size, colors, and most important of all, BREED. Social media is a blessing for spreading advocacy and shedding light on this delicate topic. The more people keep sharing pictures of their Pit Bulls in their element through the facets of social media, the more good is done for these dogs as a whole. It is a known fact that the majority of dogs in shelters at any given time are Pit Bulls and what does that mean? It means an imminent death due to overpopulation. With sharing through social media, more and more Pit Bulls are being adopted. Petitions have been signed and BSL has been overturned in certain areas due to awareness made possible by social media shares. The more the issue is spread and awareness is made, the more people will sign petitions and do something to change unfair policies. Think of BSL as a giant wall. Every positive post brings us closer to the end goal of demolishing this wall. Every victory and banning of legislation knocks out pieces of the wall but without the help of the masses the wall will stand strong. Keep taking those pictures of your Pit Bull snuggling up with you or playing in the snow. Keep taking pictures of them playing with your children, eating bubbles, or swimming in the pool. Keep taking pictures of them basking in the sun, smiling, or running down the beach. Keep taking pictures of them in human clothes looking ridiculously cute. These dogs are beautiful inside and out and deserve to be shown for what amazing and loyal creatures they truly are. They deserve to be fought for and shown off. 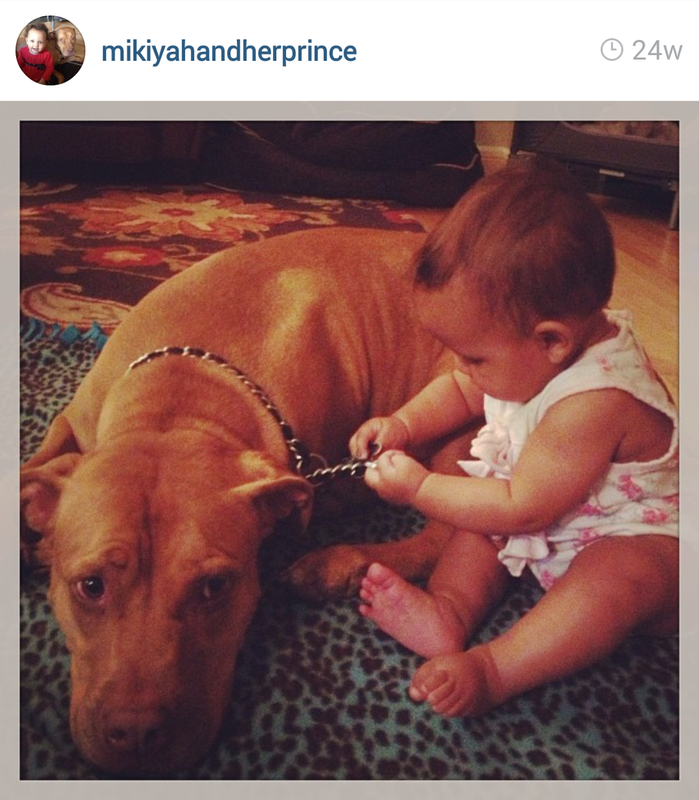 Keep proving the nay sayers wrong that believe that a Pit Bull cannot be trained or that he will attack your children. Show them why you have fallen in love with these dogs and maybe, just maybe, you will change someone's mind, and that makes it all worth it. Hulk, The Giant 175 Pound Pit Bull ! A Pit Bull named Hulk has been making headlines because of his massive size. At only 18 months he is a staggering 175 lbs and he may quite possibly be the BIGGEST Pit Bull in the World! Now that's an amazing record to hold. This big boy is not meanie though. Here he is gentle as ever with his 3 year old human brother, giving him a ride on his back. Hulk lives in New Hampshire with his family and is a great example a peaceful Pit Bull with his calm demeanor and loving soul. Here is a throwback of baby Hulk in all of his cute, chubby, puppy, irresistible, goodness! His family, the Grannan's, had this to say about Hulk "My hope is that we can stop ignorance and change people's minds about Pit Bulls in a positive way with all this attention". 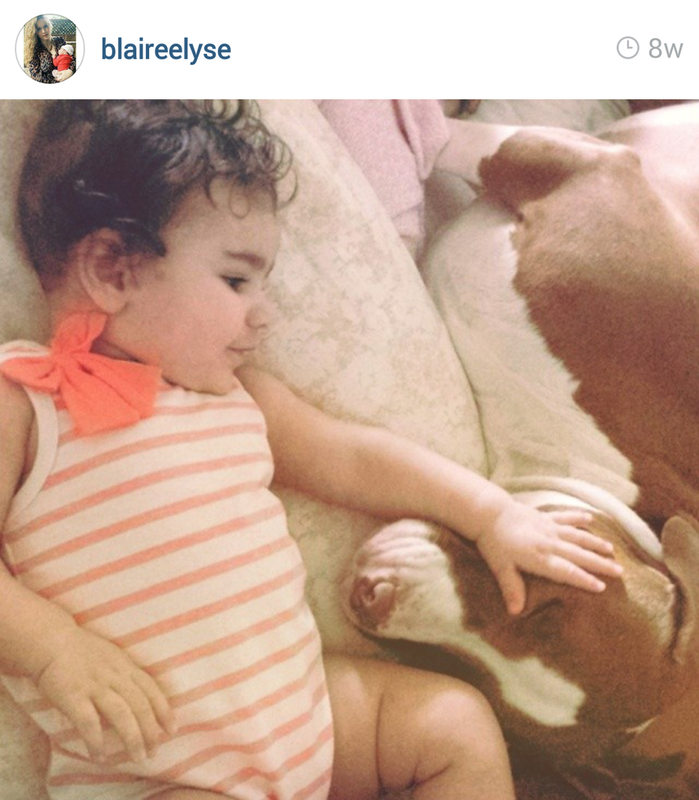 Would you add a Pit Bull to your home after watching this gentle giant in action? So last month, October, was Pit Bull Awareness month and we wanted to share some of the stories you sent us about why your Pit Bull is AMAZING. Here are a few of your stories in your words to shed some light on the most misunderstood breeds of all: the Pit Bulls. 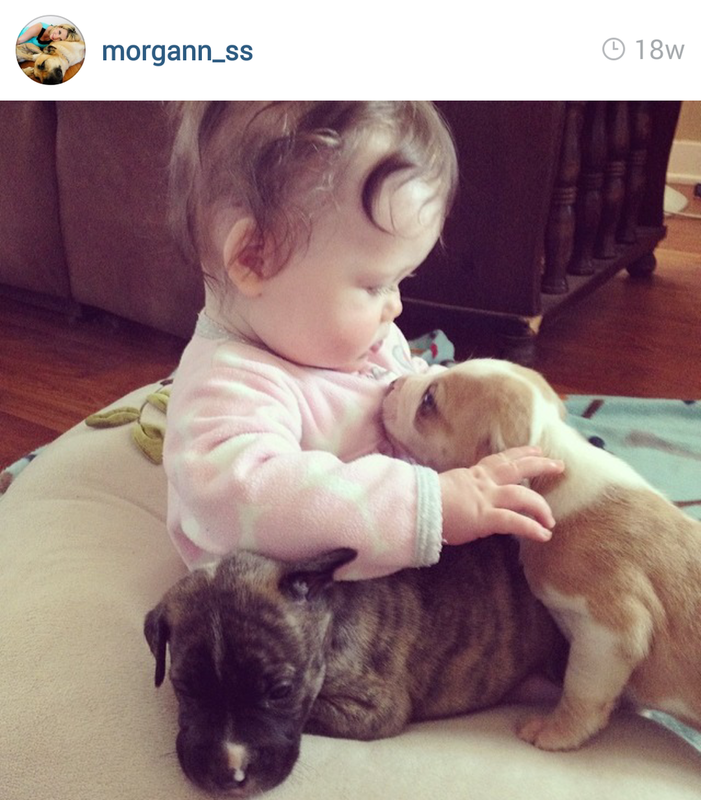 We love hearing your stories and sharing your love of Pit Bulls with the rest of the world. If you have a story you would like to share please email us at mypitbullfriend@gmail.com and attach pictures!